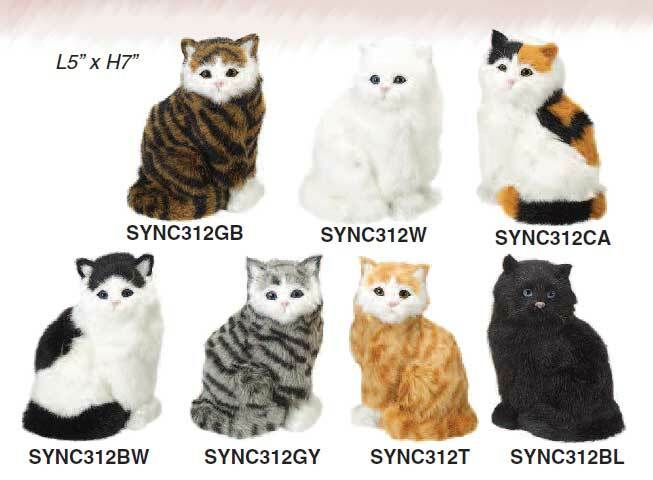 Realistic Synthetic Fur Cat Figurines handmade to appear very lifelike! Many of our Realistic Cat Figurines are made with real rabbit fur. On this page, you will see our selection of Life Like Furry Kitty Cats that are made of a Synthetic Fur for those who are sensative to real fur. What a great gift this would make for someone who wants a real cat, but simply cannot have one!